The images carved in wood constitute one of the fundamental elements of the church as objects of devotion. 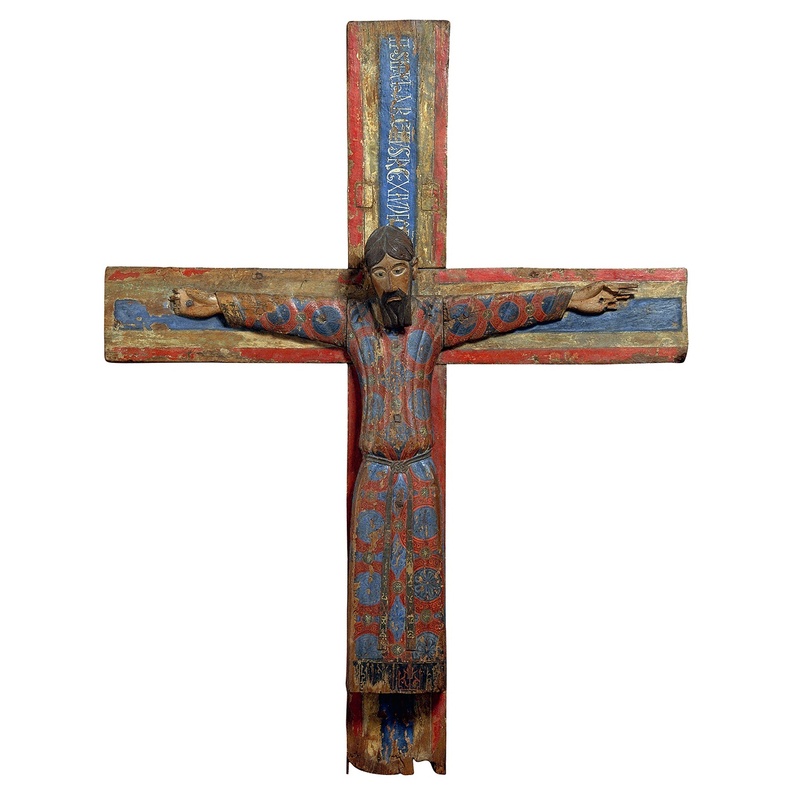 One of the types most developed in Catalonia were the Majestats, images of Christ on the Cross which symbolise his triumph after death, among which it is worth highlighting the Majestat Batlló . It is characterised by its solemn character, thanks to a composition marked by the frontal and geometry, and the luxury aspect of the tunics, which remind us of the refined Byzantine or Hispano-Muslim materials. The modality counted on a major reference, the Volto Santo by Lucca (Tuscany, Italy), an object of extraordinary worship since the end of the 11th century.